EC Online is a personalized study tool and powerful learning companion throughout your EC journey. Please see: Pre-arrival instructions. When can I access EC Online? What can I do with EC Online? 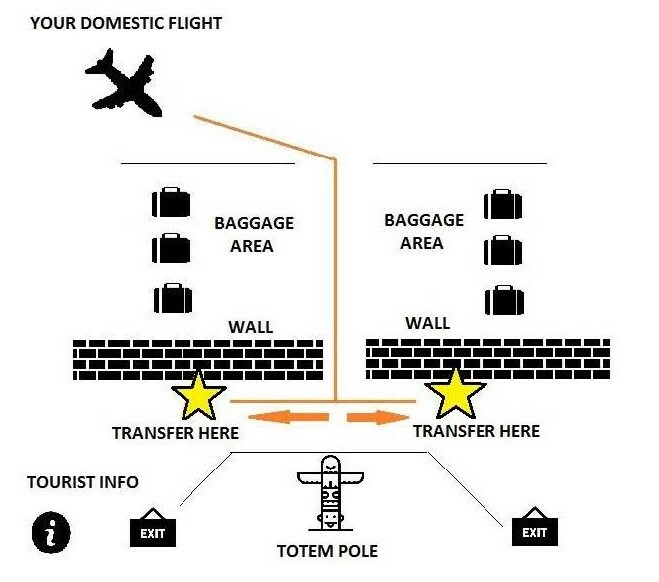 If you booked a transfer, an EC Representative will be waiting for you at the Vancouver Airport in the designated meeting points described below. Please check if your flight arrives to the International or the Domestic Terminal as the meeting points are different and refer to the detail instructions below (please refer to point number 1 for International arrivals and to point number 2 for Domestic arrivals). Below you can also find more instructions of what to do you if you cannot find the EC representative (point number 3) or what do to if your flight details have changed (point number 4). If you are at Domestic Arrivals, collect your bag from the baggage carousel and wait in that area (see map below). You will see an EC Transfer Representative wearing a bright yellow T-shirt and holding a Yellow sign with the EC logo on it. 4.CHANGE OF FLIGHTS OR MISSED FLIHTS What should I do if I have missed my flight or my flight is delayed? If your flight has changed or you missed your flight you should notify EC Transfer Representative by calling +1 604.988.7639 or text/WhatsApp +1.778.773.5466 (from the information desk or a mobile phone) to rearrange your transfer time and avoid additional cost. (Useful phrase to use: My name is (Maria Angeli). I am from (Italy). My student number is (123456) and my flight has been changed. My new flight number is (1234) arriving at (time). If you flight has been delayed but you will come in the same flight (flight number did not change) you do not need to call us. What should I do if I haven’t booked an EC transfer? Take the SkyTrain, Canada Line. This will bring you to a number of different transportation stations in order for you to make your way to your accommodation. You can also take a taxi from right outside the airport. All taxis have fixed fares depending on your destination. You can find out your fare by looking here. What should I expect at my EC accommodation? You will receive a warm, personal welcome, whether you have booked home stay or residence. All our hosts are fully briefed on how to make you feel comfortable and prepared for your first day of lessons. In our residences, an EC representative will be available at the weekend to help and answer any questions. What should I do on the Sunday before school starts? You will have the option of participating in activities arranged by EC. This is an opportunity to meet other new EC students, relax and be introduced to your new city together. With an EC staff member on hand, you can also ask any questions you may have. We will notify you of the Sunday activity schedule around 2 weeks before you start school. How can I find my way to school? You can find this information on your EC Accommodation Profile, or feel free to ask your host family or residence. What if I haven’t booked EC accommodation? There are also a number of different bus routes that will take you here. You can use the Trip Planner and enter in the school address as your destination. What can I expect on my first day? What will my timetable be? What do I do if public transportation is temporarily unavailable? In case of bad weather, public transport strikes etc, please check the EC Vancouver page for any important updates or call the emergency number. Please note that this is a sample timetable and variations may occur.